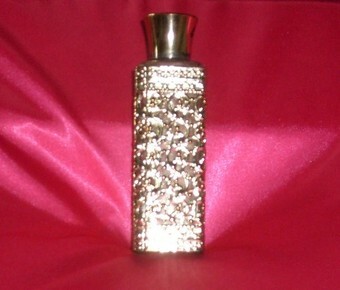 This lovely little bottle used to hold Tiffany Perfume, NY. The bottle inside is glass, ornate gold outer casing, gold top. It shows signs of wear on the top but if you wanted to, you could replace the top with something more decorative.